Illegal migrants have hijacked a merchant ship after rescuing them off the coast of Libya, Italian media reported Wednesday. The hijacked ship it is now heading towards Malta, according to the Italian Deputy Prime Minister Matteo Salvini and Maltese authorities. 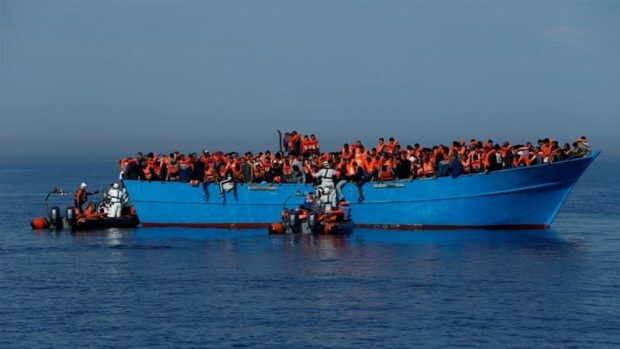 The 108 illegal migrants were picked up by the cargo ship Elhiblu 1 which they then hijacked when it became clear that it had planned to take them back to Libya, according to the website of Italian daily Corriere della Sera and Italian news agencies. Reuters reported a spokeswoman for Malta’s armed forces as confirming that the ship had been hijacked and said Maltese authorities were monitoring its progress and it would not be allowed to dock in Malta. “This is clearly a case of organized crime,” Salvini said on Facebook. “Our ports remain closed.